The horrible Tsunami that hit Japan 2 years ago, was devastating. As if this was a lesson, after these 2 years, the catastrophe is still not over. At the nuclear power plant Daiichi near Fukushima it's still going on. 3 melted reactors and a huge area contaminated for many decades or even hundreds of years. While Japan is coming to a level of pre-2011 in a tremendous speed, the teams at Fukushima still fighting in nuclear hell. It's not a fire you can extinguish and then leave. There need to be cooling in these totally destroyed buildings for many years. And there is not even a plan on how to deal with it after that. The most presumable solution would be a massive hull around the three buildings and maintain them for thousands of years. That's how long the radiation will last. Some kind of radiation will last even million of years. It's hard to believe, but these are the things we're dealing with here. And nobody has a solution. Nobody thought about that. Really no one? And here we are at one of the most shocking things we learned about an advanced and free government. A government that was a symbol for a civilized government and worth a high-tech nation. We saw that this government we trust, is lying to the own people. Lying and keep information, exposing people to unknown danger, before and even after the Fukushima accident. I kept on twittering and blogging information for the people in that area, like many other bloggers did, to warn them about the danger spots, while the own government kept shut up and tried to talk down the situation even after any expert in the world said, the first reactor fully melted. The citizens of Tokyo helped themselves by publishing radiation levels measures from amateur devices and fed into the net. Today, scientists still find radioactive hotspots even in Tokyo. A strange phenomenon first discovered at the Chernobyl disaster. In Chernobyl was the biggest nuclear disaster until the Daiichi accident. 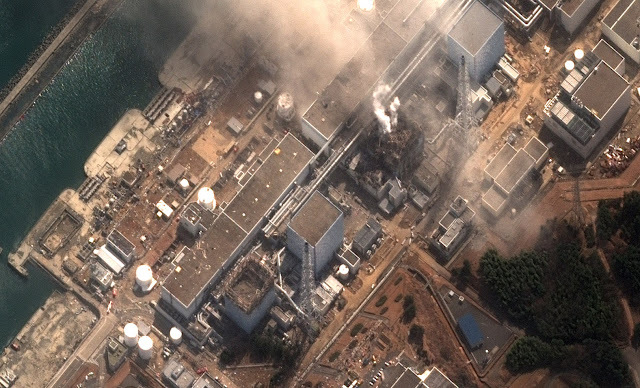 In Japan's disaster about 10 times more radioactivity was set free than in Chernobyl. But still the government want to scale it down. Sad news spread these days, that the new elected government, will restore nuclear power plants and don't lay off nuclear energy. Either they don't care for the people, or ar not willing to learn, that nuclear power can't be maintained safely. It's just a matter of time until the next big accident happens. And so the Japanese people feel, too. They want to stop nuclear power, despite the heavily pro-nuclear lobbyism and the extremely biased media, that unbelievably talking the risks down.